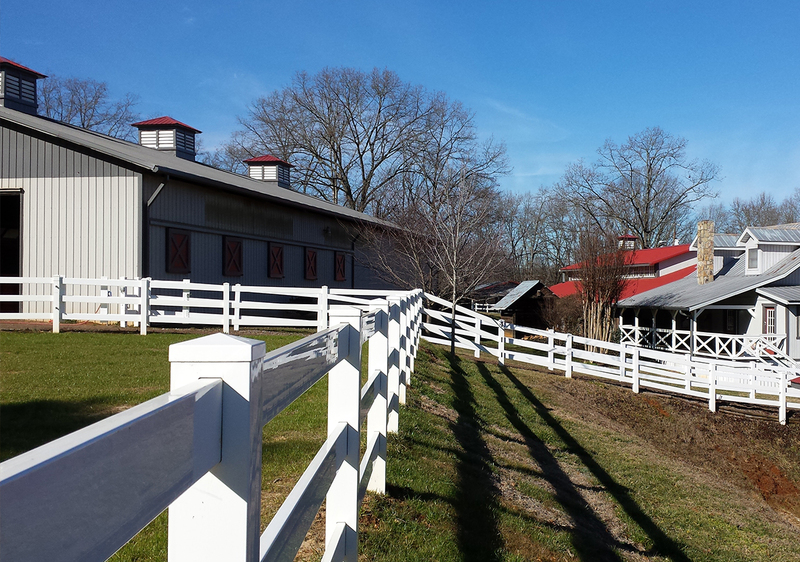 The horse farm Smoky Mountain Park Arabians is owned and managed by Jacque Thompson. Jacque has a passion for life and Arabian horses. “Living on a farm, especially an Arabian horse farm, is the ultimate experience”. She thinks about Arabian horses from the time she rises up in the morning and then all through the day, They are in her thoughts as she drifts off to sleep each night. She loves every aspect of her life. From hearing the horses whinny to the smell of the barn with fresh hay and bedding. Of course, Jacque loves to ride. Jacque loves the growl of her Freightliner as it pulls her horses to shows. She loves the excitement of horse shows and working with people, “Especially,” she reminds us, “those that love Arabian horses.” Her passion for the Arabian horse and her desire to open markets for all Arabian horse breeders has led Jacque and her husband, Rod, to publish ArabianHorse.com. This new website is designed to be a complete guide to the Arabian horse. Additionally, Jacque has worked hard to develop her farm, Smoky Mountain Park Arabians. Her well-known picturesque breeding farm is nestled in the foothills near Knoxville, Tennessee’s affluent community. At SMP Jacque stands two purebred Arabian stallions, Baskghazi, and The Renaissance. Both studs are nationally recognized English Pleasure horses that were chosen by Jacque in the first years of her farm’s existence. Jacque has worked tirelessly to compliment her Arabian stallions with a renowned herd of purebred broodmares. Many are proven producers of quality saddleseat style foals. This herd, which numbers more than twenty purebred Arabian mares, includes a National Champion, a National Reserve Champion, several National Top Tens and winners of the prestigious AEPA Yearling In Hand Class. Those are, respectively: Escada SCA, A Love Supreme, Tula Afire SCA, Tempany SMP and Bask Afire Revue SMP. Other broodmares are siblings to national champions or are daughters of them. In addition to these Arabian mares, Jacque also maintains a select group of Saddlebred mares for her Half-Arabian breeding program. Jacque’s young program has already produced quality horses that are fan favorites, like Baskghazillionheir SMP, a 2012 Half-Arabian colt, and the 2013 Half-Arabian filly Negligee SMP. Lesser known but also a winner in the halter show ring is the 2012 gelding Catching Fire SMP. 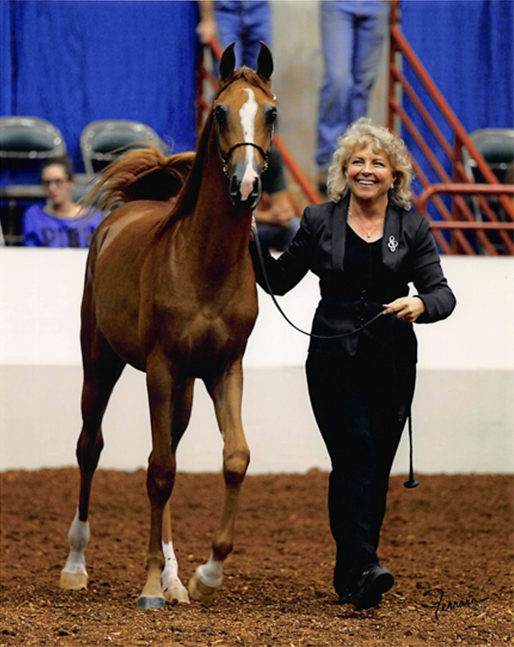 Jacque’s purebred Arabian program produced the 2014 US National English Pleasure Three Year Old Futurity Reserve Champion, Supreme Sensation SMP. Other crowd favorites on the list are BaskAdonis SMP, Quintessential Afire SMP, Baskghazillionheir SMP, Negligee SMP and Essence of Fire SMP. Jacque shares her success with others who have bred their mares to Jacque’s stallions at Smoky Mountain Park Arabians. For instance, Gina Anderson bred her prize mare to Baskghazi, producing BaskGlory. She sold the colt to Jessica Everett who took him to US Nationals where he was awarded a Top Ten out of twenty-eight competitors in the Arabian Country English Pleasure, Select AATR Championship. The following year, Jessica went on to ride BaskGlory to win two championships at Scottsdale also in the Arabian Country English Pleasure amateur division. Aside from Gina, Irwin Shimmel’s faith in Baskghazi as a very young stallion led him to produce the PF Blockbuster. Irwin knew he had something special when he placed the colt for training at Vicky Humphrey Training Center where he sold to Robin Chisolm-Seymour. After Blockbuster’s Buckeye Championship Robin remarked to Jacque, “Blockbuster is a very special horse with so much personality. Everyone in our barn loves him and people actually follow him from the show ring to inquire about him and to see if he is for sale.” In addition Robin said she was simply thrilled with Blockbuster’s win was at US Nationals with Jessica Clinton De Soto in the irons. Earlier in 2015 Blockbuster continued his winning ways by taking the blue in his class in Scottsdale, Arizona. “I am elated to know people are happy with my stallions’ produce.” Jacque said recently. Jacque’s desire is for her farm and the horses produced here to delight their owners and riders for many years to come.